Last February Snarky Puppy and the Metropole Orkest won a Grammy for Best Contemporary Instrumental Album. In July they will have another astonishing performance on the first day of the North Sea Jazz Festival in Rotterdam! They key to success of the album ‘Sylva’ was the chemistry between the two bandleaders: Michael League and Jules Buckley. The two guys managed to melt the two ensembles to a powerful whole. Funk, rock, cinematic and jazz; a great variety of styles will come across during the concert. For a long time the guys from Snarky Puppy were kept secret for quite some time, however, after winning their first Grammy in 2014 for Best R&B Performance they grew fast. They work together a lot with various artists, for example Jacob Collier, Lalah Hathaway, Justin Timberlake, David Crosby and Snoop Dogg. 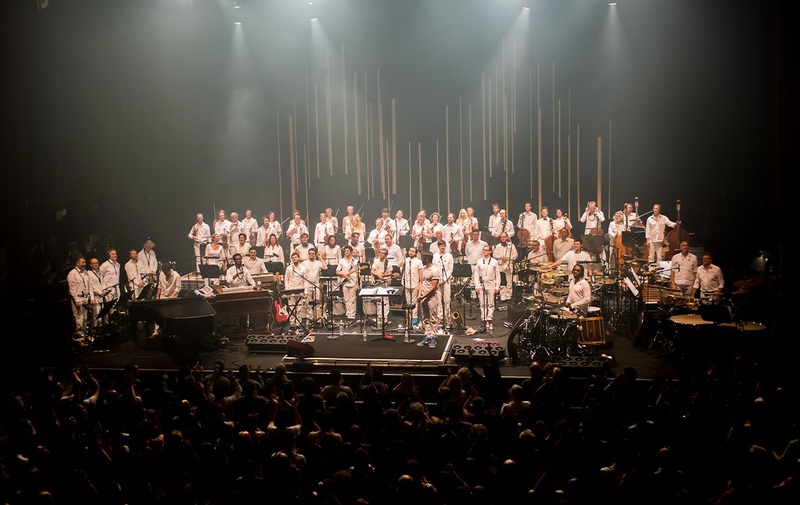 Interesting to know: Snarky Puppy and the Metropole Orkest already planned to play on the North Sea Jazz Festival separately. However, after winning the Grammy there was no doubt to play together on the stage again!